There are lots of posts appearing about how writers can use QR (Quick Response) codes, but to my mind a lot of them are missing the point. (A reminder. 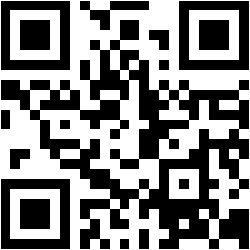 QR codes are those square shaped bar codes that smart phones can scan and read if the necessary app had been uploaded.) Many writers are talking about putting these codes in blogs or emails so that people can be directed to where an author’s book is for sale on the Internet, or to a review of it, an interview with the author etc. Well, a hyperlink does that just as well and more efficiently. Not everyone has the necessary hardware yet. Well, I don’t! The point of the QR code is take you from printed media to digital media. There is simply no need to have them take you from digital to digital. They’re free to create. Here’s one I just created at http://goqr.me/ to take you to my other blog: Blog in France. It took about 10 seconds! I can now print this out and use it on any press releases or posters or such like publicity, were I ever to create any! Christmas card – well, it’s that time of year! Posted in Art of writing, Ebooks, Marketing.